Summary: This is a simple and decent bracelet. 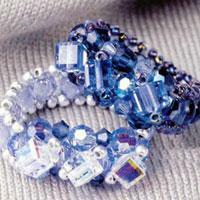 It is jewelry making for girls. This tutorial will show you how to make this summer bracelet. In summer, many people like wearing shining jewelry. 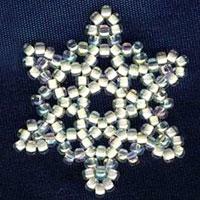 The bracelet that we are going to make is very pretty. You can even wear it to attend formal occasions. And it is very suitable for summer. Next, let’s make the summer bracelet together. How to make summer bracelet? Step1: Cut two metallic cords in the similar lengthen. Slide three acrylic rhinestone beads to one cord and four to another cord. Step2: Squeeze the glue into two cord ends. Step3: Insert two ends of the cords into the two cord ends. Step4: Add a chain end to the one cord end, and add a lobster claw clasp to the other one. You have made this summer bracelet just in few minutes. And you can make more to send your friends as gifts. This easy bracelet is very suitable for beginners to learn. Happy learning!